While the Hepburn Collection cannot project those qualities as fully as the iconic "Audrey" who inspired its name, we did think of her simple beauty when we set out to design this tasteful assortment of bathroom furniture. 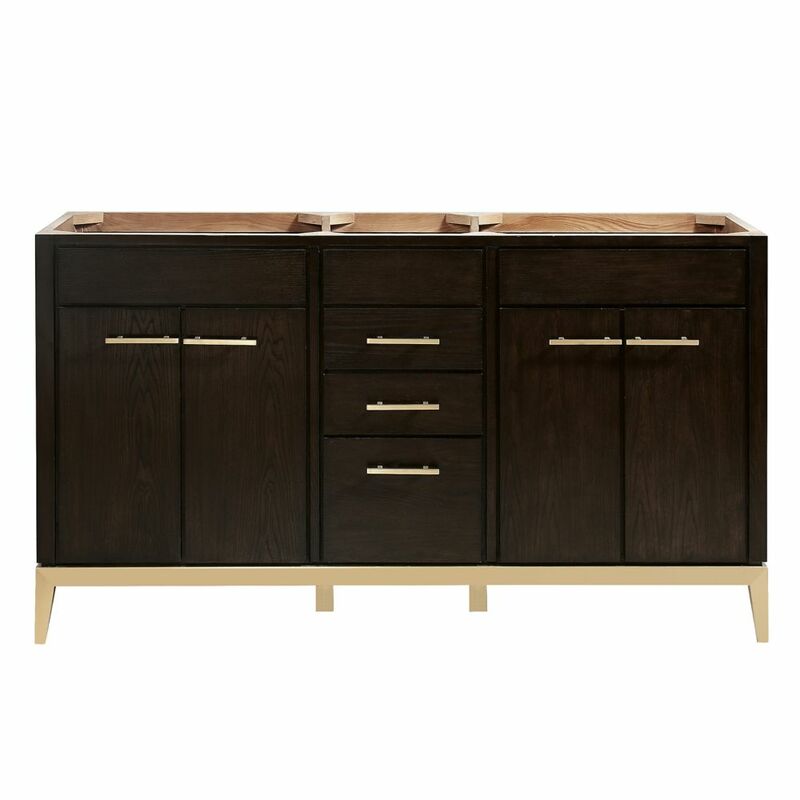 The 60 inch vanity is layered with a sumptuous Dark Chocolate finish upon the solid ash wood frame. Added premium materials like a sturdy matte gold base and hardware and soft-close glides and hinges. Match the vanity with the complementary mirror and linen tower, and Hepburn is guaranteed to delight for years to come. This modern vanity set belongs to the exquisite Xena Quartz design series. It features a rectangle shape. This vanity set is designed to be installed as a floor mount vanity set. It is constructed with plywood-veneer. This vanity set comes with a lacquer-paint finish in White color. It is designed for a deck mount faucet. Designed with a modern style and strong build, this vanity is a perfect choice for any bathroom. Its white ceramic counter and white particle board base are very easy on the eyes. Put a nice twist on your bathroom project with this classic piece from Avanity. Hepburn 60 inch Vanity Only in Dark Chocolate While the Hepburn Collection cannot project those qualities as fully as the iconic "Audrey" who inspired its name, we did think of her simple beauty when we set out to design this tasteful assortment of bathroom furniture. The 60 inch vanity is layered with a sumptuous Dark Chocolate finish upon the solid ash wood frame. Added premium materials like a sturdy matte gold base and hardware and soft-close glides and hinges. Match the vanity with the complementary mirror and linen tower, and Hepburn is guaranteed to delight for years to come.